Hello! 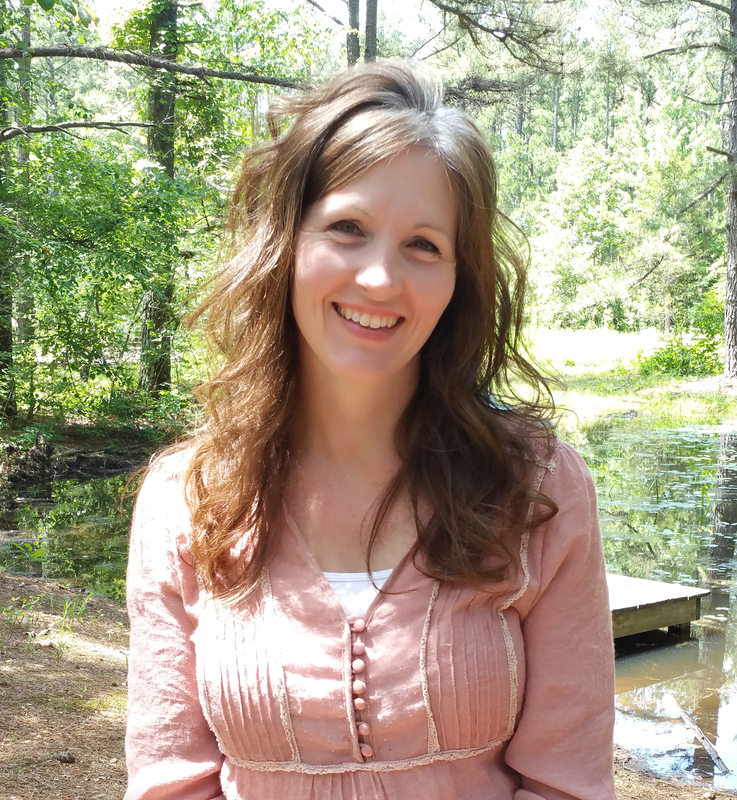 My name is Bridget Courtney and I’ve been asked to write a little about my system of being a homemaker with a 6-year old, 5-year old, 2-year old, and 6-month old baby while keeping my house clean at all times, homeschooling, cooking all meals from scratch, and never feeling overwhelmed. Make your own schedule by looking at what you want from your life. For me, cooking whole food meals and going to a gym were priorities as our health is a gift from God we are charged with preserving. You might want to make time for gardening, blogging, crafting, or date night! Make a list of your priorities and decide how many hours you need to accomplish your goals. Then make your schedule around that. My weekdays are pretty similar and Saturdays are for errands, a family outing, and an outside chore (cleaning out the car, mowing the lawn, etc.) and Sundays are for rest. Before I Started This System I Was a Mess. My house was always messy, every task seemed overwhelming, and homeschooling seemed impossible. I tried different schedules and quickly felt defeated. I looked at other homemakers and wondered how they did it. Eventually I realized it wasn’t that I had too much to do. It was simply that I filled my day with things that did not benefit my life. I had three television sets, so I could watch mindless television shows wherever I was. We had an upgraded cable package so there were always many shows and movies that interested me. And I had a steady list of “hobbies” that didn’t give me much joy but I preferred over housework. My husband (and mother in law because it was obvious I needed help!) 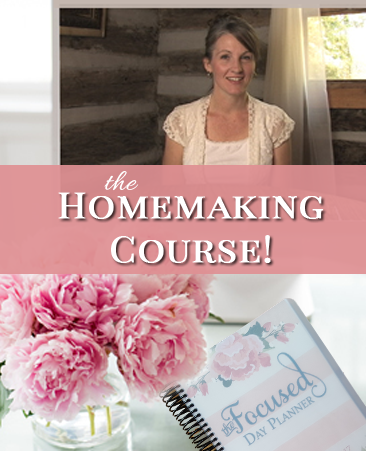 gifted me with Homemaking 101 and then Homemaking 201 when it was released and I started surrounding myself with homemaking blogs and YouTube videos. Everyday I surrounded myself with my goals instead of my distractions. And very rapidly my life become manageable and then it became easy! Here’s the schedule that works for me. I hope it helps you! 7:00 am – Hubby and kids wake up, I stay in bed for a bit to nurse the baby then go downstairs and change diapers, ask the kids to get dressed, and make breakfast. 8:00 am – Make sure hubby is set for work and kiss him goodbye. Take a moment here and appreciate your life. Your husband is working hard for you and you are blessed with a family that needs you. Take a breath before the business starts and get excited for all that you’re going to get done with this day you’ve been blessed with. Time for the children and you to do your everyday morning chores! Clean up after breakfast, sweep and mop where needed, unload the dishwasher, wipe down all bathroom counters and toilets, make beds, and everyone fold their own laundry from the load you put in the dryer before bed. I fold my husband’s and my clothes and my towels. My 6-year old folds hers and her baby sister’s clothes. My 5-year old folds his and his toddler brother’s clothes. My 2-year old folds wash clothes, kitchen rags, and diapers. The baby sits in the laundry basket and gives us joy in our work with her sweet coos and giggles. All this takes no more than half an hour when we all pitch in. 9:00 am – You’re now sitting in a clean house with fed and happy children. At this time I pull out some paper and crayons and the children color while I do some planning. Whether it’s writing a grocery list, making a schedule, or planning a curriculum, every mother needs a planning hour! You can not be successful if you don’t have a plan! (We fit in some writing practice here as my 2 older ones help write the menu and grocery list). Once you’re done, do an art project or play with your children. 11:00 am – We play and take a bit of a break. 12:00 pm – Lunch time! Now my 6-year old makes lunch most days, as I usually drink a green juice and nurse the baby. 1:00 pm – After lunch the 2 youngest take a nap and it’s the perfect opportunity to home school. 5:00 pm – After we finish zone cleaning to about 6:30 we rest, watch a show, documentary, or play. We have a small snack as soon as daddy gets home and head to the gym. 6:30-8:30 pm – Gym time! The kids get to play with other children and be physically active while mommy and daddy become stronger and spend time together. 8:30 am – Dinner and bedtime prep (I usually have dinner cooking in the crock pot all day or we throw together a salad). 9:00 pm – Bedtime! My husband and I watch a movie together or he works and I read whatever novel I’m working on. Before I go to bed I start the dishwasher, wipe down the kitchen counters, and start the washer. We don’t have hampers so dirty clothes go straight into the washer and I’ll move them to the dryer right before I go to sleep, so I wake up to a clean house. Now depending on what I need to get done I might make school time putting on a documentary while I scrape the popcorn ceilings or paint the bathroom. Or we might spend a good bit outside. But we follow this most days. And on Wednesdays I do my whole house cleaning and wash sheets. Declutter! The less you have the less you have to clean! Be appreciative in everything! Praise God for dirty dishes, piles of laundry, and wonderful children to tend to. Your attitude is everything! With small children a couple hours of school time is plenty. We use many tasks to educate our children. They have to do math to bake a double batch of bread, we read history books before bed, and I quiz them while we do our daily chores. 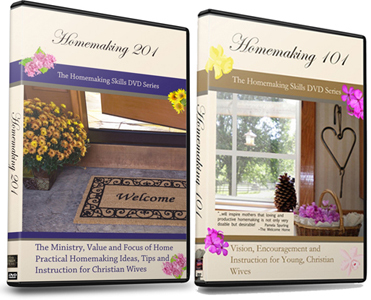 Order Homemaking 101 and 201!!! If you have trouble getting motivated, put the DVD’s in and play them until you start moving! Hello Ladies…… I appreciate your input in this outline of a schedule and I agree, schedules are important. I’m glad this works so well for your family. I am a mother of 5 and now a gramma of 8 so I have seen different seasons of life although I am only 50! Although, as I read this blog post, part of me was a bit saddened. This schedule is very personalized for sure and obviously is what works for this particular family. However, most families do not run like this, I know mine didn’t! I mean absolutely no disrespect. Most families cannot wait until 8:30 at night for supper, nor do many have the option of a gym for 2 hours a night (although YES our bodies and health are important!) Also, I didn’t quite see where the school aspect happened. I’m sure it just wasn’t quite stated. I agree less TV is wonderful and electronics, although valuable, are overloaded on, and getting rid of multiple TVs is a huge positive! My other thought as I read this was that not all Mom’s and Dad’s are blessed to have 2 hrs at the gym and kids at 6 that make lunch while they do other things. And we must keep in mind that many families must work 2 jobs, or opposite shifts to make ends meet. And what about the military? Mom’s and Dad’s who have to go it alone 6 or more months at a time and perhaps have zero help at all…..As the Mom of 2 daughters married to military boys, it is a hard life and they have rarely had help, even from church as many people (civilians) cannot get on base. I suppose my point is, that as much as I am happy that this wonderful Mama has created a system that works so well with her family, I think we must be careful how we word things and think of how other readers may not have those blessings.. Many are overwhelmed and many can’t have a clean house all the time because life happens. I am thinking right now of a beautiful family with special needs children and how this post would probably make that Mama feel very defeated. She is doing all she can. But we are all human, and perfection, or the pretense of it, could be very defeating for others. Please understand I say all this in love as a sister in Christ. I truly am happy this family seems to have it all together all the time. They are blessed indeed. Yes, this post isn’t for everyone, so true! Many ladies though, just need some simple instruction and encouragement, such as what is listed in this post. Hopefully those reading can glean something helpful and pass over what isn’t. Hi Tammy, I completely understand what you’re saying and I agree. This is very personalized because I felt the was the best way to express how to accomplish a little bit of everything in a day. But everyone has different priorities and needs. I don’t have any family help, my hubby travels, and I have an autoimmune condition that flares up pretty often so I really needed a system and inspiration like Homemaking 101 and 201. But to answer some of your concerns; we eat five times a day and we eat at around six pm so we’re not starving at 8:30 and I homeschool from about 1-3pm (or 4 or 5 depending on how well its going and how long the littles sleep) and incorporate learning throughout the day. Thanks for your feedback ladies! Absolutely agree that there is much we can gleen from each other! Bridget, I understand in regards to the auto immune issue. One of our girls has lupus and it makes for much difficulty. Especially during pregnancy. My heart feels for you! 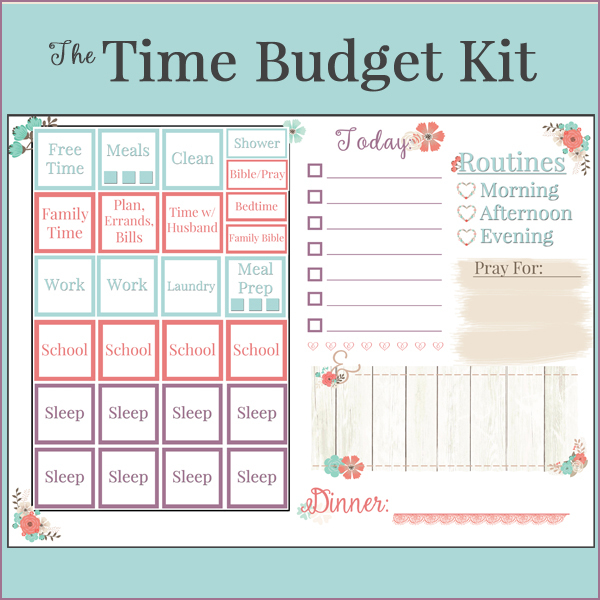 While I agree that having a schedule can be very helpful, and the sources and tips listed at the end of this post are good, I want to (as lovingly as possible) say that I hope the author will pray about and reconsider her priorities. Firstly, I disagree that the system above includes homeschooling and cooking all meals from scratch. The schedule shows only two hours devoted to schooling (1:00-3:00) and the author herself admits that “depending on what I need to get done I might make school time putting on a documentary while I scrape the popcorn ceilings or paint the bathroom.” I think that homeschooling can be a wonderful thing if you have the time and energy to do it. Perhaps some of the non-urgent home projects (like painting and zone cleaning) can be left for the weekend to allow more time for learning. She also does not make lunch; her six-year-old prepares the meal while she has a green juice. Finally, the author and her husband spend two hours a night at the gym while putting their children in childcare. This leaves them with only a half an hour to spend together as a family each night (while they eat dinner and get ready for bed). Our bodies are a gift from God that need to be cared for, but this seems extremely excessive. Isn’t is generally recognized that around 30 minutes of daily exercise is sufficient? Perhaps they could take a walk as a family after dinner, spending some time in God’s creation while caring for their bodies and children at the same time. It would just make me so sad to see other homemakers read this and think it is a good example to follow. As Christian women, we are called to follow God’s example of biblical womanhood, which includes selflessly serving our families and others (Proverbs 31) and focusing on the heart rather than outward appearance (1 Timothy 4:8).